This workshop will discuss what special needs programs, classes and resources are available at the EMSB and will explain how to navigate them. We will also talk about what to expect in these programs, including for kindergarten. This presentation will explain what spirituality is, explore the common religious approaches to spirituality, and examine how you can go about developing your spiritual life through meditation, gratitude and charity. As well, it will examine the proven benefits of adopting a spiritual approach. This workshop will explore the reasons for de-motivation in teens and how to help them fulfill their potential while leading balanced lives. An added bonus: Advice applicable to parents as well! 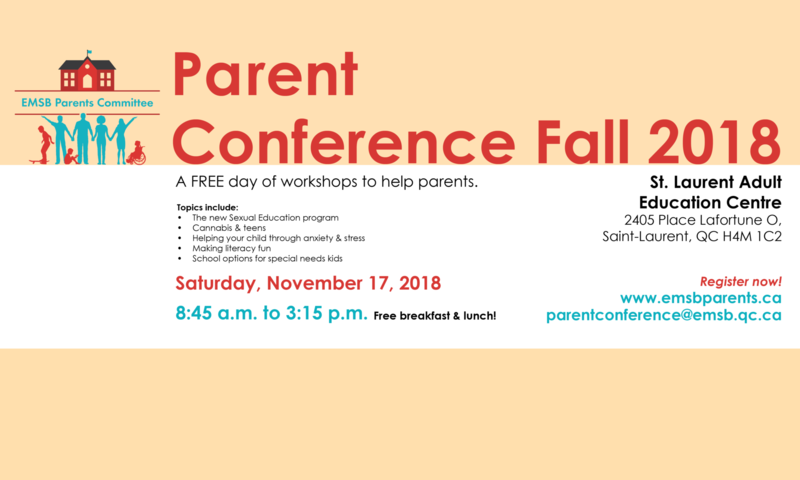 This workshop will discuss the role parents have with respect to governance within Quebec’s educational system. We will look at the changes to the Education Act due to Law 105 and we’ll also talk about the logistics of getting a bill passed in National Assembly.